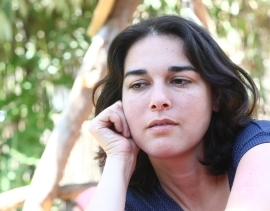 Galit Dahan Carlibach was born in 1981. She grew up in Sderot, Ashdod and Jerusalem. She published three novels, two novellas and two fantasy books, based on Moroccan tales which told by her grandmother. 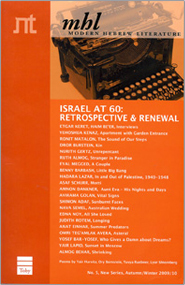 Her stories, poems and essays are published on different platforms including Haaretz, Alaxon, Maariv, 929 and more. In addition, Galit facilitates writing workshops and lectures and takes part in Persona Non Grata, a literary-musical duo as a singer and guitarist. Dahan-Carlibach has been awarded the Prime minister's Prize (2014) and the National Library of Israel Pardes prize (2014). She was a participant in the International Writing Program in Iowa and The Shanghai Writing Program. Her last novel ‘Alice's Storm’ was longlisted for the 2017 Sapir Prize.